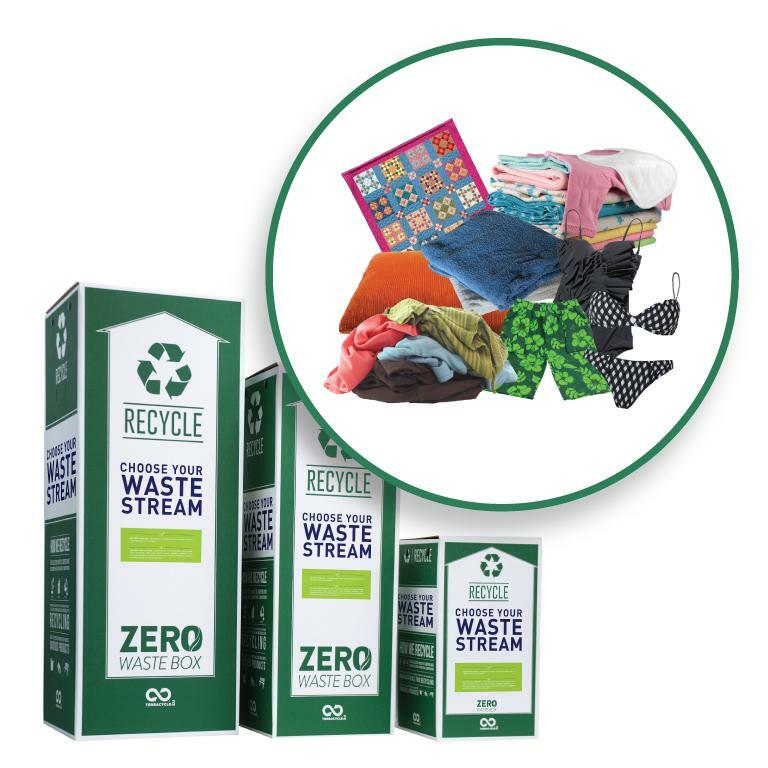 Use this box to recycle any textile or fabrics based products. The collected fabrics are segregated into their respective categories (such as nylons, cottons etc.) and then either reused, upcycled or recycled as appropriate. 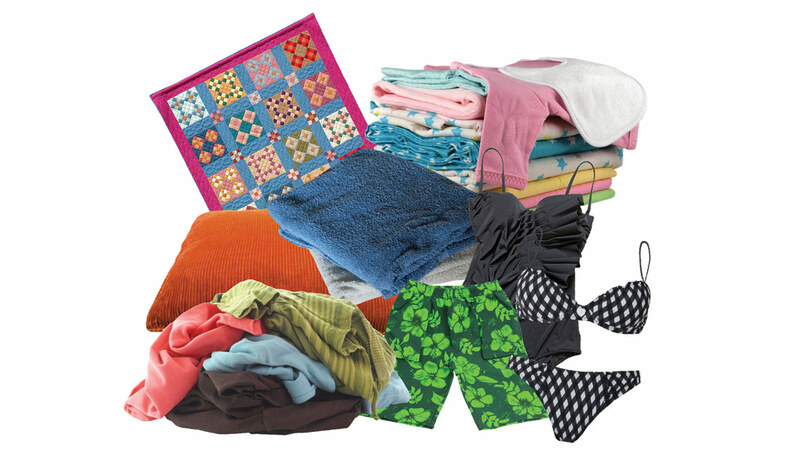 Please send us your discarded bibs, burp cloths, baby clothes, blankets, breast pads, changing pads, diaper bags, pillows, bedsheets, linens, play mats, play rugs, privacy wraps, baby slings, mattress protectors, jean skirts, jean shorts, jean shirts, jean jackets, denim bags, denim scrunchies and denim hats, canvas bags, mail bags, canvas tents, rompers, shirts, sweaters, tees, shorts, skirts, pants, socks, under garments, active wear, sleepwear, rainwear, hoodies, jackets, headbands, scrunchies, cotton swabs, cotton balls, towels, non-plastic bath mats, bedding, window treatments, draperies, outdoor fabric from patio furniture and awnings, indoor furniture coverings and traps, outdoor fabric mats and turfing or other similar fabrics. include electronic heating blankets, leather or delicate fabric (made out of polyester, nylon, silk, rayon, cashmere). Please note that we will not accept organics, broken glass, bio-medical waste, soiled nappies, expired medication, pesticides, paint, pressurised canisters, and medical sharps in any of our boxes. Please send traditional recyclables through your local council system.